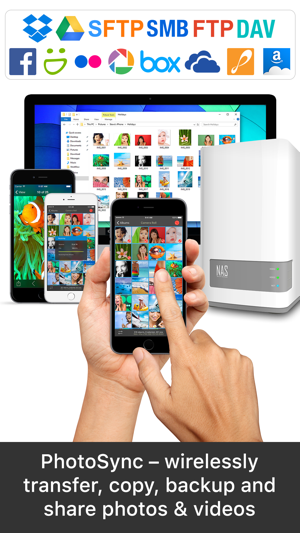 Transfer and backup photos and videos to computer, other phones, NAS, cloud & photo services wirelessly. 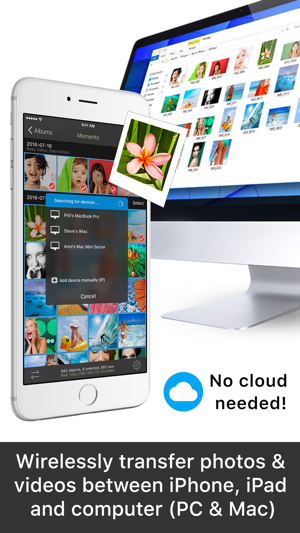 • Automatically backup new photos & videos in the background to computer (PC & Mac), supported cloud/photo services, your private cloud or NAS, whenever you arrive at pre-selected locations. 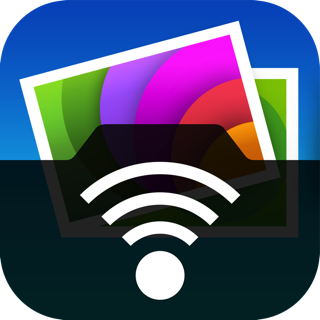 The FREE PhotoSync Companion for Windows PC and Mac makes the transfer experience quick and easy. 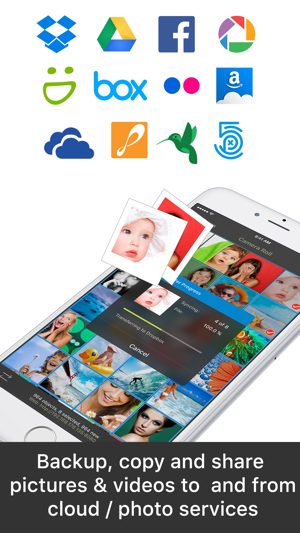 It lets you beam photos & videos to your device by drag & drop. This app is phenomenal, and I hope it remains supported for years to come. Before this app, I was stuck running MacOS in a Virtual Machine on Windows just to use the native Photos app for exports. I was convinced there was literally no other solution after using countless other apps. It felt like Apple backed me into a corner, saying, “Just buy a Mac.” (I already have a relevant laptop and very competent desktop PC, so spending $1000+ on a Mac just for photo management seemed like overkill). I’m so happy that I can keep the categorization I’ve set up in Photos when transferring to my PC. I can Transfer 10,000+ photos to my PC and they will all just go into folders without the hassle of having to organize everything all over again. I can’t believe Apple doesn’t have a similar feature! Even in macOS, I’ve had to manually make all 90 of the albums I have as folders, and then export originals to each one individually. That would take an hour+, and using Files on my iPhone to do this is nearly impossible as it just crashes. Now I can ‘select all’ in this app, leave my phone to do its thing for bit, and then it’s all right on my PC nice and organized. Hours of time saved! Thank you so much. Outstanding work! Great app and fantastic developer! This app has allowed me to finally achieve a goal of mine: uploading photos to a personally-owned server without relying on any cloud service. 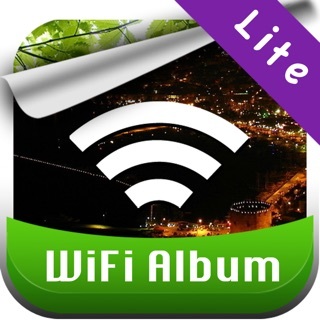 It’s incredibly configurable, which is great to help decide how your photos appear once uploaded. On top of the awesome features of the app, the developer is quick to respond to feedback and is more than willing to help debug problems! I had a configuration problem as well as an issue where photos were not appearing. I quickly got responses to my inquiries and had an email exchange to resolve my problems. To be clear, neither problem was with the app, but in my assumptions of the behavior of my given configuration. 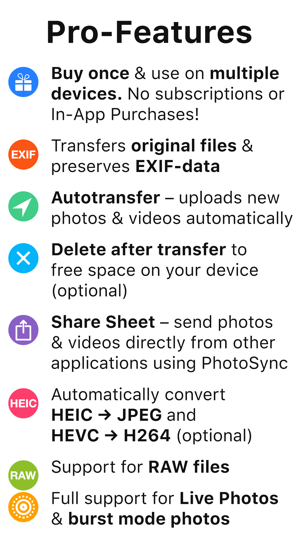 If you want photo uploads without using a cloud provider, or if you want to upload to many places, this app is an absolute must-buy! Ignore Moron who states it won’t do what it claims. This app has more features than any other similar app, that I am aware of. Someone gave it a poor review; because it wouldn’t auto transfer to a USB device, connected to his router. He thinks that should be considered a NAS, and thus, the app should sync to it. (If it doesn’t have an IP address, then it isn’t a NAS!). The only complaint that I could possibly have is that it’s level of customization is so extensive, you could get lost in what you are doing. I don’t have any problems; but I have a degree in Computer Science. Less technical users might have problems. I would recommend that some future version integrate a toggle between basic settings and access to more advanced settings. I love the app and use it on a daily basis. Well worth the price.